According to a press release they issued about a year ago, the Cincinnati-area American Heritage Girls is the "premier national character development organization for young women that embraces Christian values...Currently, American Heritage Girls has over 43,000 Members [sic] located in every state..."
According to a 2014 press release, the American Heritage Girls formed a "National Cooperative Venture" with Heimlich Heroes, a "Deaconess Associations, Inc. and Heimlich Institute initiative that teaches kids as young as seven how to become a hero by learning to perform the Heimlich Maneuver correctly in order to save a life. Both organizations are based in Cincinnati." In honor of Heimlich Heroes week American Heritage Girls corporate office trained their staff using our Teen and Adult program! 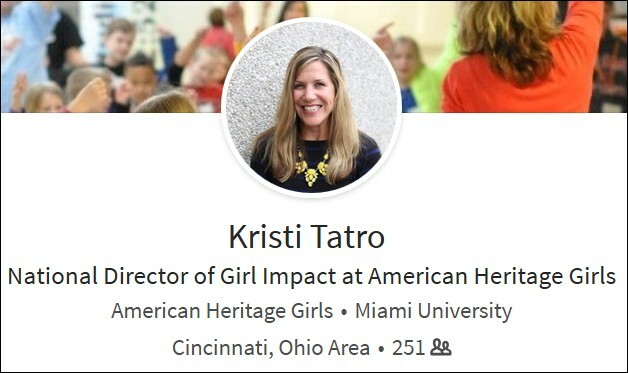 Kristi Tatro, National Director of Girl Impact, spearheaded the training to set an example for their members and community. I'm unaware of any medical organization or medical expert that recommends performing "the Heimlich" (abdominal thrusts) on choking infants. According to recent e-mails I received from executives at the American Heart Association and American Red Cross, doing so "may cause injuries." Further, I'm unaware of any published research on the subject. In other words, the American Heritage Girls "highly endorses and encourages" teaching the public to perform an unapproved, potentially harmful medical procedure on babies. I'm e-mailing this item to Ms. Tatro with an invitation to respond.